A number of changes to labeling rules are coming, including bioengineered food disclosures and simplifying date labels. When the National Bioengineered Food Disclosure Standard was signed into law in July 2016, it represented the culmination of an extended legislative and regulatory period of activity on food labeling issues in general. As the focus shifts toward the implementation of these labeling proposals – such as requirements for bioengineered food disclosure, calorie disclosure on menus, and updating the nutrition facts panel – the debate over food labeling issues will remain very active, and new labeling proposals are certain to arise, including ones directly impacting food safety. The National Bioengineered Food Disclosure Standard was enacted into law to preempt a patchwork of differing and conflicting national, state and local requirements that were going into effect or being proposed at the time. The legislation, which acknowledges the proven safety of agricultural biotechnology products while simultaneously ensuring consumers have access to more information about the foods they purchase, was enacted with strong bipartisan support. 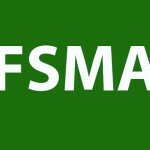 Because this labeling mandate is based on a desire to enhance consumer information, and not address any safety concerns, Congress delegated responsibility for implementing the disclosure standard to the Agricultural Marketing Service (AMS) within the U.S. Department of Agriculture (USDA). The disclosure standard, which will be developed by USDA through rulemaking, is intended to apply to a broad category of foods and provide several options for mandatory disclosure, including text on packaging, the use of a symbol, or an electronic or digital link. Additional flexibility will be provided for small food manufacturers and food in very small packages. Under the law, certain foods are excluded from the disclosure requirement, including food served in restaurants or similar retail food establishments, or food produced by very small food manufacturers and any food that is derived from an animal solely because the animal consumed feed produced from a bioengineered substance. Food products that have meat, poultry or egg as their main ingredient would remain subject to labeling under other federal statutes. The legislation also would ensure that food products certified under the national organic program could display a “non-GMO” label or other similar claim in addition to the USDA organic seal. The law also required USDA to conduct a study to identify any technological or other barriers to disclosure and offer additional disclosure options if the Secretary of Agriculture determined that barriers existed. While the study, which was released in September 2017, did acknowledge some notable challenges, it concluded that most consumers seeking information on their food purchases would be able to access this information, given the proper education and tools. Challenges identified by the study include: consumers not recognizing the on-package digital link or not associating it with food information; retailers’ unfamiliarity with digital links and inability to assist consumers; some consumer challenges in accessing the tools needed to scan a link; consumers struggling with mobile applications (apps), regardless of comfort level with technology; and broadband connectivity and connection speed. Although researchers observed these key technological challenges that prevented nearly all participants in the study from obtaining the information through electronic or digital disclosure methods, the study asserted that the challenges could be overcome through appropriate implementation of the law. USDA Secretary Sonny Perdue has expressed his commitment to meeting the implementation deadline of July 29, 2018 for the National Bioengineered Food Disclosure Standard. 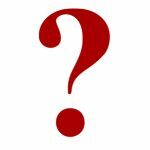 This summer, the department collected feedback on thirty questions under consideration in connection with the rulemaking process, and released the accessibility study required under the law close to the deadline set by Congress. The fact that consumer groups filed suit to compel the study’s release shortly after the deadline passed serves as an early indicator that all aspects of USDA’s implementation of the law will remain under close scrutiny and, in all likelihood, be the subject of additional litigation. There also has been some indication that the compliance date will coincide with another labeling requirement in the pipeline – the update to the Nutrition Facts Label. On May 27, 2016, the Food and Drug Administration (FDA) published the final rules updating the Nutrition Facts label for packaged foods to reflect new scientific information, including the link between diet and chronic diseases such as obesity and heart disease. In its announcement, the FDA indicated that the new label would make it easier for consumers to make better-informed food choices. 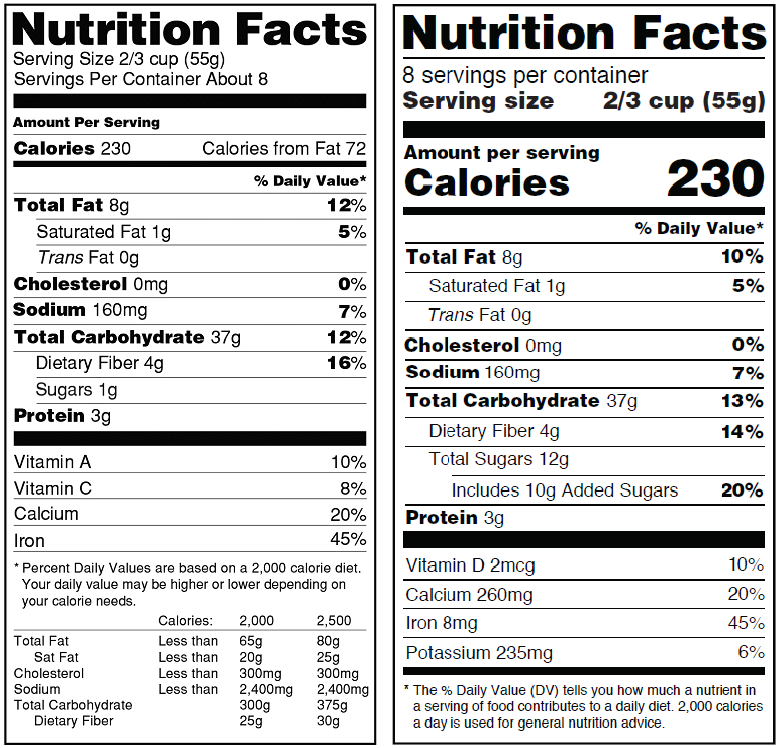 While the familiar look of the nutrition facts panel remains, FDA is proposing changes that would include an emphasis on Calories by increasing the font size and bolding it. The font size for serving size and servings per container also will be increased. Other notable changes include requiring manufacturers to declare the actual amount of vitamin D, calcium, iron and potassium, in addition to the percent Daily Value, and to better explain in the footnote what percent Daily Value means. The rule also requires that the label include Added sugars in grams and as percent Daily Value in order to reflect recent scientific data showing that it is difficult to meet nutrient needs while staying within calorie limits if a person consumes more than 10 percent of total daily calories from added sugar. The rule also requires updates to serving sizes on the nutrition facts label so that they are based on amounts of foods and beverages that people are actually consuming. For example, for packages that are between one and two servings, the rule requires that the calories and other nutrients be labeled as one serving because people typically consume it in one sitting. 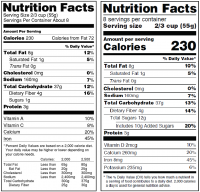 Additional details of the update to the Nutrition Facts Label can be found on the FDA web site. On June 13, 2017, FDA announced that it would delay the compliance date for the final rules updating the Nutrition Facts Label, adding that the new date would be forthcoming. In a Federal Register notice on October 2, FDA announced the new compliance date of January 1, 2020. Earlier in the year, a group of food industry trade associations and officials requested that FDA delay the compliance date for three years, asserting that it should be aligned with the compliance date for USDA’s Bioengineered Food Disclosure Standard. Industry groups had been arguing that aligning these dates would eliminate the need to change labels twice. Because the Administration has hinted support for aligning the compliance dates for USDA disclosure and FDA labeling requirements, FDA could announce another delay as the January 2020 date approaches. Karen Ellis Carr is a partner in Arent Fox’s Washington, DC office. Karen’s complex litigation practice has encompassed matters involving commercial real estate, construction, defense contracting, fashion and luxury goods, health care, hospitality, media and entertainment, and professional sports industries. In addition to her work with individual companies, Karen has represented a number of industry associations on litigation, coordination of industry regulatory strategy, and federal and state legislative issues. Karen has first- and second-chaired matters in numerous state and federal trial and appellate courts throughout the country and in arbitration and mediation, and has experience in all phases of litigation from pre-litigation strategy and counseling to settlement negotiation and appeals.